Sweet Little Ladybug On My Julia Child Rosebush. This shrub has got to go. It attracts too many wasps and horseflies close to the house. The shrub pictured at left attracts far too many wasps and horseflies, so it’s coming out tomorrow. In its place, my beloved mandarin orange tree will take up new residence. 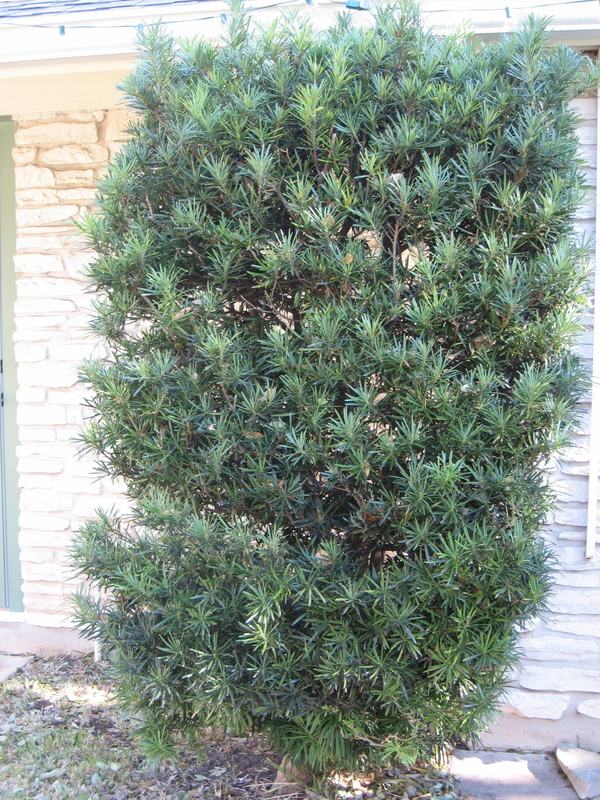 Trouble is, this Japanese Yew has also been serving as home to a large family of ladybugs. As any gardener knows, ladybugs are wonderful outdoor friends. Not only are they delightfully cute, but they also devour menacing pests such as aphids, which commonly wreak havoc upon roses, hydrangeas, and other beautiful plants. So this morning, I took my son ladybug hunting. He is almost two now and completely fascinated by these delightful creatures. Our goal was to capture as many as we could find before they are evicted tomorrow. We plan to relocate them elsewhere in our garden by week’s end. With temperatures in the low 40’s, the ladybugs were dormant, so it was the perfect time to catch them. I captured at least two dozen and placed them in a clear plastic container with small air holes, which I immediately transferred to the refrigerator. The refrigerator maintains the same temperature the ladybugs were being exposed to outside. This approach does not harm the ladybugs and will keep them asleep for a couple of days until the weather warms again. 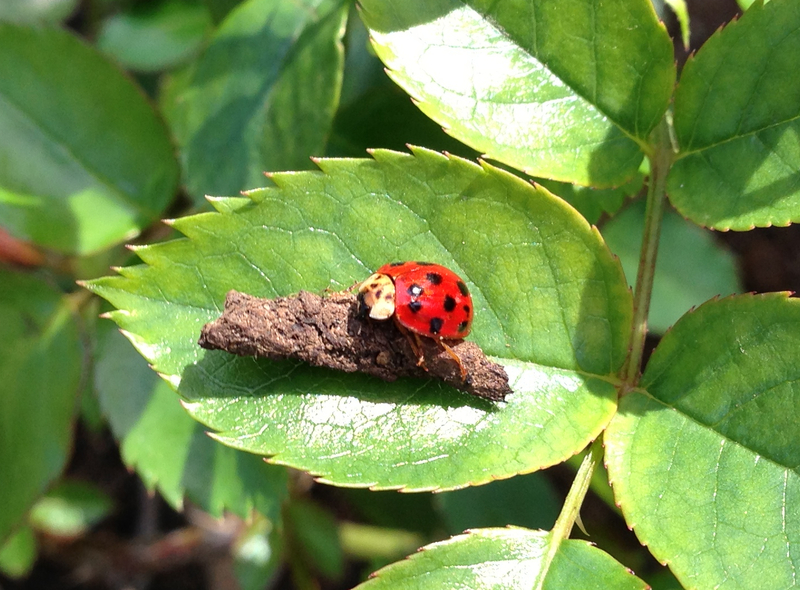 Later this week, I will release the ladybugs into my rose garden, which I hope will be a happy new home for them. If you’re wondering how to attract ladybugs to your garden, you can actually purchase them at some plant nurseries. They will likely be refrigerated when you acquire them and may even look dead, but they’re not. They are simply asleep. In fact, they may start moving around as they start to warm up. When you get home, immediately place the ladybugs in the refrigerator until you’re ready to release them. The best time to release ladybugs is dusk, since they don’t travel at night. If you release them during the day, they may leave your yard in search of food and may not return. Looking for more outdoor tips this Spring? Take a look at my Quick-Start Guide to Gardening in 5 Easy Steps. P.S. Happy 48th Anniversary, Mom and Dad! I love you!